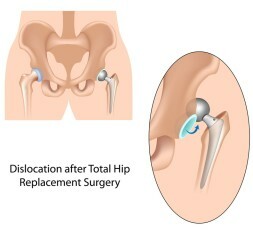 A bioengineer at Johnson & Johnson’s DePuy unit testified during a trial in Los Angeles that he spent three years studying a redesign of the all-metal hip implant devices, which the company recalled in 2010 due to a high failure rate. According to a Bloomberg News report, the engineer, James Anderson testified by videotape about “Project Alpha” that ended in 2008 with no change to DePuy’s ASR metal-on-metal hips. Anderson was testifying in the first of 10,000 lawsuits to go to trial over claims involving the defectively designed ASR hips recalled by the company. Anderson told jurors that he was disappointed that the project was terminated just as he had come up with the good suggestions and useful solutions to improve the metal hip implants. A British national registry showed ASR failure rates at 14 percent while an Australian registry had that number at 40 percent. Recently released internal memos show that Johnson & Johnson was conducting its own study around the same time which showed failure rates exceeding 30 percent – although the company tried to downplay the British registry’s finding at the time. Thousands have claimed that the ASR device failed within two to three years and left them in pain or immobilized as a result of joint dislocations, infections and bone fractures. Many have also claimed that the devices deteriorate and shed toxic metals such as chromium and cobalt into the bloodstream raising blood toxicity to dangerous levels. Almost all of the claimants had to have revision surgery to replace the device. Anderson testified that in April 2008, two years before the recall, he wrote to superiors that a minor improvement in geometry could bring about significant improvement for many patients. Based on this engineer’s testimony, it is apparent that he was frustrated that nothing came out of his hard work of several months. The company apparently did nothing with his important findings and did not make an attempt to further the research, which could have helped thousands of patients. Instead, these individuals were left to suffer significant pain. Many of their lives came to a standstill because they couldn’t even move, let alone go to work and earn a livelihood. My hope is that this lawsuit brings out all the facts regarding the defective ASR metal-on-metal implants and increases public awareness about these dangerous products. Previous post: Legal Transcription as an Imperative for Lawyers. Next post: What is the Role of an ISDA Negotiator?